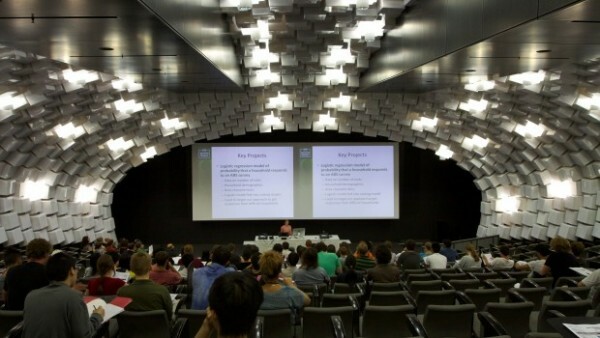 The AMSI Summer School is an exciting opportunity for mathematical sciences students from around Australia to come together over the summer break and develop their skills and networks. Over the four weeks students take innovative courses in new and emerging areas of the mathematical science as well as more traditional ones. The eight short courses are taught by hand picked lecturers from around Australia, each of the courses may be taken for honours credit. Students have plenty of opportunity to get know each other with lots of social events including BBQs, public lectures, student seminars, the annual Summer School dinner and depending on the location anything from picnics to rock climbing and paintballing. Students can find out about career paths and meet prospective employers at the Careers Afternoon, attended by companies such as Google, Ernst and Young, Bureau of Meteorology and the Commonwealth Bank.